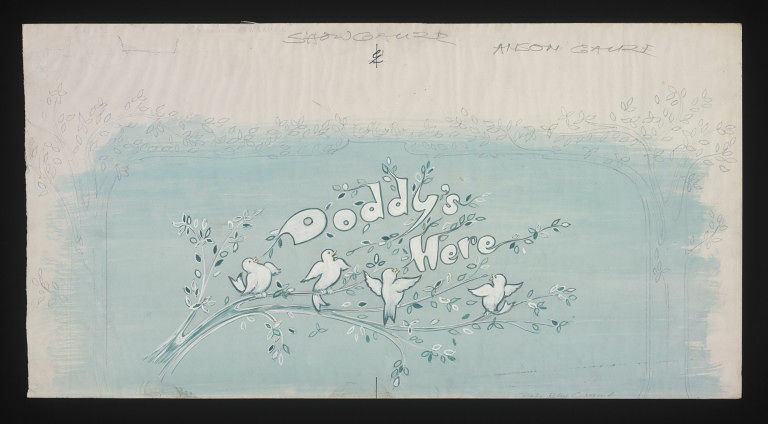 Set design for show guaze for Ken Dodd "Doddy's Here! ", staged by Robert Nesbitt, London Palladium, 1965. Watercolour, gouache and pencil on drawing board set design for show guaze for Ken Dodd "Doddy's Here! ", staged by Robert Nesbitt, London Palladium, 1965. 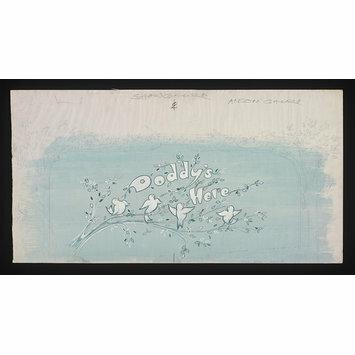 The design features a mint green and white branch with leaves with four birds birched on top and the show's title across it. The gauze is also designed with a set of trees framing the image and includes a mint green background.